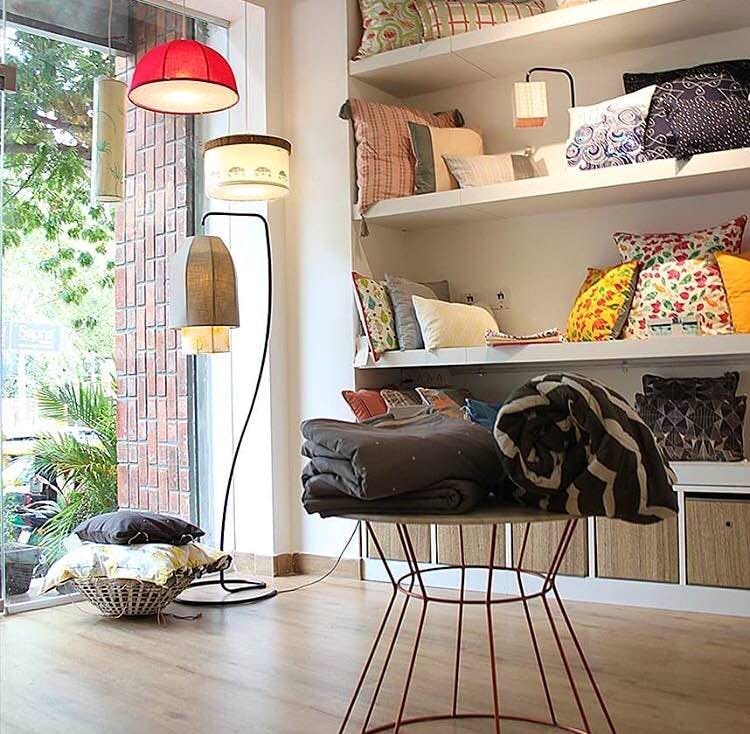 Olie living has a stunning collection of home decor accessories from light fixtures to home textiles like cushion covers, table mats, runners etc. They have an online store and a brick and mortar store in Indiranagar as well. You can find a wide of variety of light fixtures with some really quirky prints and textured ones made out of banana fibre which is my favourite. You can also get them customised at their store. Their collection includes table lamps, floor lamps and pendant lamps. Coming to the home textiles, I personally love their basic cushion collection in pretty colours with subtle details on them. They have them in a variety of sizes as well. Wondering where to get a 24” by 24” cushion? Well, they have it. That’s a size which I never find anywhere.